One of the most important figures in the twentieth century, you’d expect Hollywood to give Nelson Mandela his well-deserved close-up, and in 2013 we got a biopic on his wife and the man himself, with Mandela: Long Walk to Freedom. 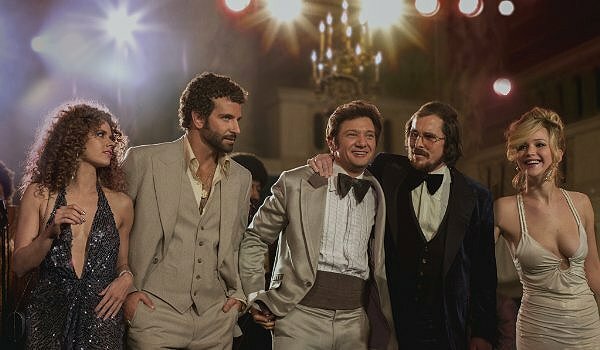 It is a respectful, reverent, and relatively inspirational biopic boasted by a pair of great performances. Idris Elba (Pacific Rim/everything cool ever) nails the voice but also inhabits the courage of the man, the toll of his decisions, and the doubt that crept in at his darkest moments. Harris (Skyfall) gives a fiery performance as Winnie Mandela. You may be surprised, as I was, how active she was in South Africa’s rebellion against the government. The problem is that the film plays like a greatest hits collection without much more insight than we could glean from a cursory new report. 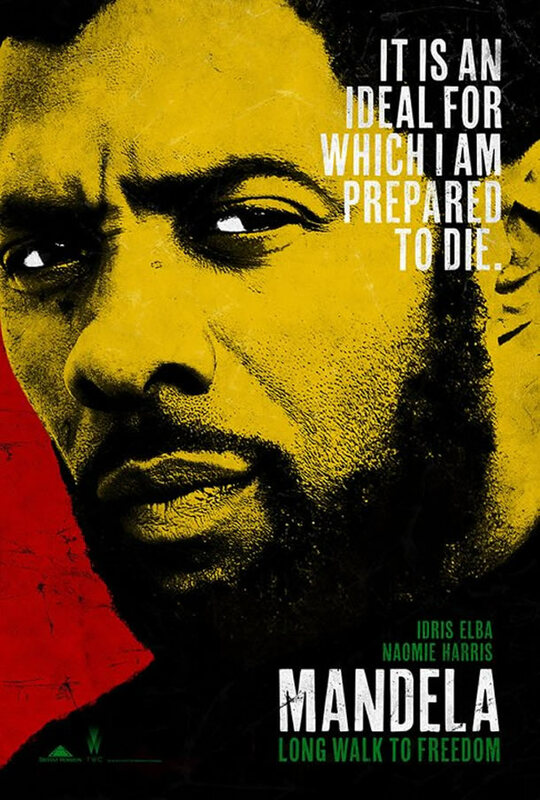 Cramming the man’s life into 140 minutes is obviously going to be insufficient, but the speedy narrative does little justice to the man’s hardships and the complexities of South Africa’s civil rights movement. The cradle-to-grave approach in biopics is somewhat passé now. Rather movies like Lincoln and Invictus, also about Mandela, focus on pivotal moments that encapsulate the person. I think I have the perfect rewrite of this movie: adjust the focus squarely on the series of meetings in the late 1980s Mandela had with the South African government about political reform. Let’s dig deep into the political conflicts, the government’s fear to equal rights and possible recriminations, the smoothing of tensions, the building of trust, the fragility of a country in the balance. It may seem like more of a stage bound approach, but I think it has more immediacy, nuance, and works to summarize his lifetime of struggle and the change of his country. Oh well. Mandela is a respectful biopic but the man and his legacy deserved something better than a speedy run-through of his life’s checkpoints. This holiday season, the movie with the most acting, by far, is likely to be August: Osage County, the adaptation of Tracy Letts’ Tony award-winning play. It’s a large dysfunctional family getting back together and opening old wounds, so, you know, the most relatable Christmas movie for some. It’s easy to see what attracted such A-list talent to this project because these characters are actor catnip; each is overflowing with drama, secrets, revelations, anger, and it’s all channeled through Letts’ barbed sense of humor and wickedly skillful dialogue. With Meryl Streep as the pill-popping matriarch, Julia Roberts as her resentful daughter, and a host of other inter-generational conflicts and secrets, you may feel exhausted by the end of its 130-minute running time (the stage play was 3.5 hours, respectively). The emotional confrontations feel like grueling pugilist matches, the melodrama kept at a fever pitch, but the film is never boring. Streep is her usual astonishing self and the deep ensemble gives each actor something to chew over. This is the best Roberts has been in years, and she’s not afraid to get nasty (“Eat your fish!”). Just when you think the story might soften, Letts unleashes another body blow, allowing no uncertainty that this is a family doomed. The story also provides insights into tracking the path of cruelty through the family tree, limb by limb. 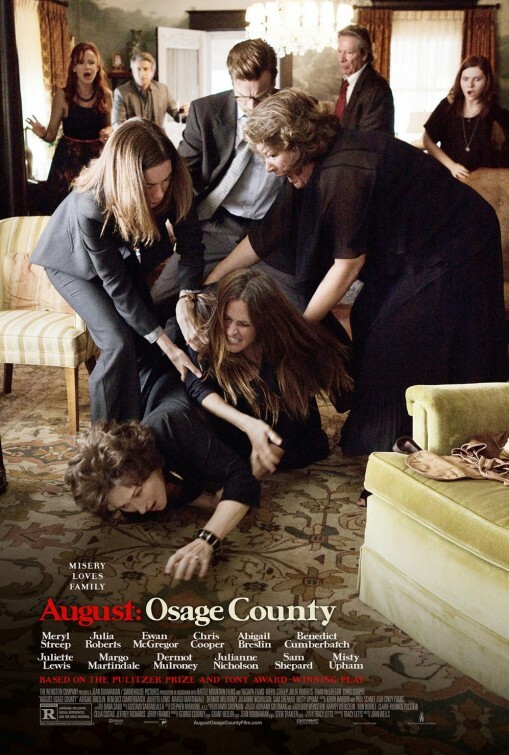 August: Osage County is stridently funny but also punishing in its no-holds-barred approach to family drama. If you’re looking for a movie that makes your family seem normal and even-tempered, this may be it. “There’s no success like failure. And failure’s no success at all,” Bob Dylan wrote. He could have been talking about any number of characters in the oeuvre of master filmmakers Joel and Ethan Coen. Losers and has-beens and could-have-beens fascinate the brothers, and their newest film certainly follows this model. Llewyn Davis (Oscar Isaac) is a struggling musician in the 1961 Greenwich Village, New York folk scene. He rotates crashing with various friends, unable to scrounge up enough money to ever pay his own way. His musical partner recently killed himself and Llewyn has been trying to get traction with his first solo record. His world gets even more complicated when Jean (Carey Mulligan) reveals that she’s pregnant; the baby’s father may be Llewyn or Jean’s husband and fellow performer, Jim (Justin Timberlake). Llewyn can’t catch a break. Inside Llewyn Davis is a classic Coen creation, a character study of a misanthropic loser trying to find direction in a comical universe of indifference. I greatly look forward to every Coen picture and that’s because nobody writes characters like they do. There are no throwaway characters in a Coen universe. Even minor characters like the elevator Attendant or Manager’s Secretary are given sparks of personality, each fully formed figure creating a richer canvas. There is great pleasure in just listening to their characters speak, in natural cadences yet elevated with grace. 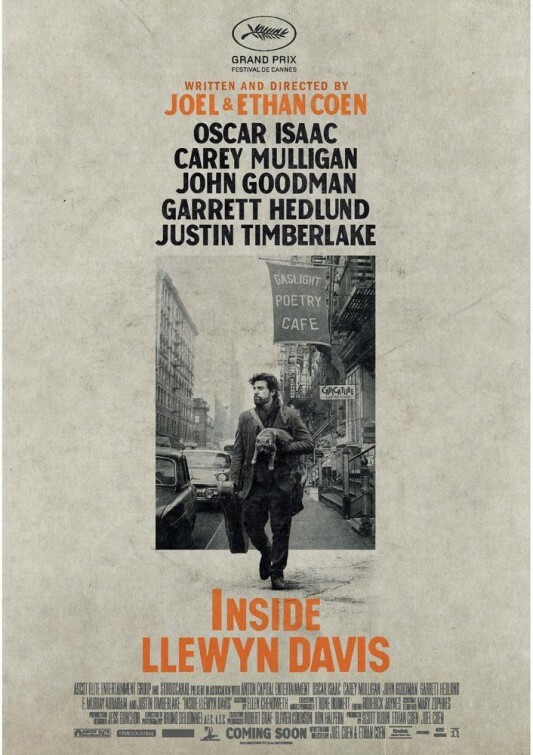 Inside Llewyn Davis is no exception. Their storytelling is always rife with wonderful comic surprises and pit stops. The Coens are such brilliant technical craftsmen, that every shot is gorgeously composed, even without longtime cinematographer Roger Deakens (to give you an idea how old this movie was, Deakens was busy filming Skyfall). The music, supervised by O Brother maestro T. Bone Burnett, is impeccably performed and quite lovely to the ear, if you’re into folk music arrangements. If you’re not, well, it’s going to be a long movie experience. 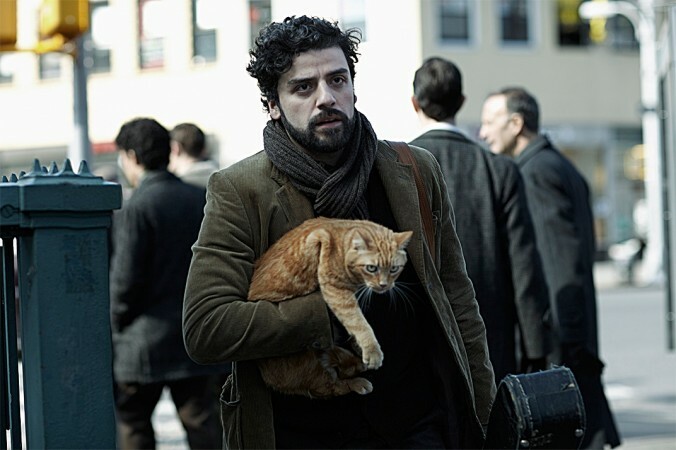 But here’s the problem with Inside Llewyn Davis: the film will likely turn off most people. It’s not a comforting movie by any means. We’re stuck following a self-destructive struggling musician bounce around couch-to-couch, chasing dreams that will never seem in reach. And Llewyn is a tough character to love. He’s surly, careless, selfish, egotistical, and also jaded. And he’s just about the only character in the movie. Most of the other famous faces are fleeting supporting players. Only Mulligan (The Great Gatsby) is given a plurality of scenes to expand her perturbed character, and even those may not be enough. Much like Llewyn’s musical direction, this is a one-man show, and he’s not cuddly. But an unlikable protagonist is not uncommon. The Coens tease so many different directions for Llewyn to go that it’s likely that audiences will feel some degree of disappointment where the film does end up. It’s a circuitous path, proving Llewyn is the architect of his own fate, but at that point audiences may not care. They may just be happy to watch Llewyn punched in the face. The plot is pretty light, running into a series of various self-contained scenes, and there isn’t much in the way of closure. I’ve watched the film twice and while I appreciate it more I’m certain that Llewyn Davis will leave a majority of people feeling cold, more so than even A Serious Man. Unlike former Coen creations, notably in A Serious Man and Barton Fink, our titular character is the architect of his own misery. He is a musician that identifies with an older class of folk artists, something that strikes him as genuine and touching the soul. He cannot stand artistic compromise. He won’t even accept a winter coat from his music manager. He wants no handouts. He chastises Jean about her and Jim’s attitudes toward the business, calling them “careerist” and “a little bit square.” To Llewyn, to sell out is the worst crime. Jean says that they’re just doing what they can to raise up the musical ranks, and maybe the songs aren’t top-notch, like a catchy but instantly dated novelty song about the Space Race (the sure-to-be Oscar-nominated “Please Mr. Kennedy”), but they’re commercial, they’re finding an audience, they’re making inroads, partially as a husband/wife act and partially due to their own physically attractive appearances, and it frustrates Llewyn greatly. A great example is early in the film a young Army vet on leave performs a wonderfully pure song with a beautiful voice. Llewyn scoffs at the mawkish nature of the tune. “He’s a great performer,” Jim advises. Llewyn takes umbrage at the distinction; a performer is not the same as a musician. The people getting ahead are the performers, the sellouts. One of Jean and Jim’s rising hits, “500 Miles,” lyrically suggests it was an old slave song that has been repackaged and homogenized for safe consumption. Llewyn is going to stick to his guns and make it on his own terms, with expected results. 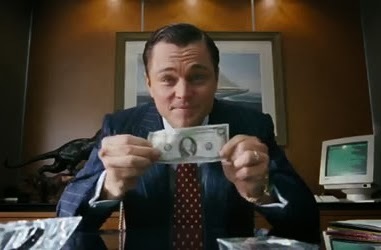 Late in the movie, after Llewyn performs before a record exec (F. Murray Abraham), so aching and affecting as he puts it all into the song, the exec simply responds: “I don’t see a lot of money here.” However, the exec offers Llewyn a chance to be in a trio he’s putting together, if he cleans up and knows how to keep to the background. It’s a real opportunity. Just not for Llewyn. It all comes down to legacy and Llewyn contemplating what his will be. His singing partner is now defined by his death, finding cruel irony in their song, “If I Had Wings.” His father is known for his long dedication to the Navy, but now he sits alone in a nursing home, a prisoner to his own infirmary and defeated mind. A road trip partner, the pompous jazz musician Roland Turner (a royally hilarious John Goodman), seems like a Ghost of Christmas Future visit from a possible future Llewyn, the artist who’s an iconoclast only in his own mind. Throughout the film, Llewyn is beset with choices, different options he could take, one in particular stemming from a revelation involving an old girlfriend. And yet, much like the thematic nature of folks songs, we’re told, Llewyn looks for something new with something old, be they routines, goals, or occupations. The folk music scene is on the cusp of change with a more commercialized pendulum swing, as evidenced by a surprise new performer at the Gaslight in the closing minutes. Llewyn is contemplating his life beyond the world of show business and where he goes next. And if there is a sad aspect to the Coens’ tale, it’s that Llewyn really is a talented musician. This is a breakout role for Isaac (Drive, Robin Hood) especially when you consider that he did all his own singing and guitar playing. 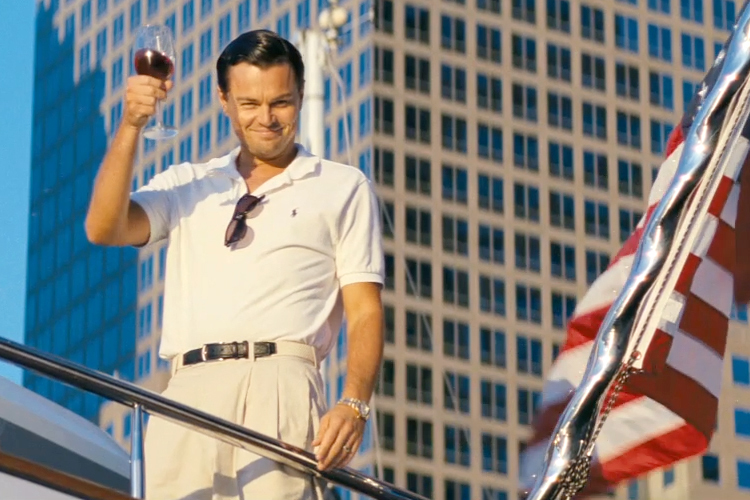 It’s one of the most astonishing musical performances by an actor I’ve ever seen in a movie. The level of craft at command, the different slivers of passion he carefully puts into the performances, the trembling emotion, the merging of himself with the song. There’s a reason the Coens open the movie with Isaac performing the full rendition of “Hang Me, Oh Hang Me.” It crystallizes right away where the man’s talent level is, both the character and the actor. We’re left to then wonder why he hasn’t found his place in the industry, and the rest of the film is the explanation. This is the first film since perhaps 2007’s Once where full-length performances of songs really do move the story forward (I’m obviously excluding traditional musicals). Some have labeled the heavy use of song as lazy, distracting from an undercooked narrative, but I can literally go through every song in the film and justify its existence. Each tune, and the performance and performers, gives insight to character, plot, and state of mind. 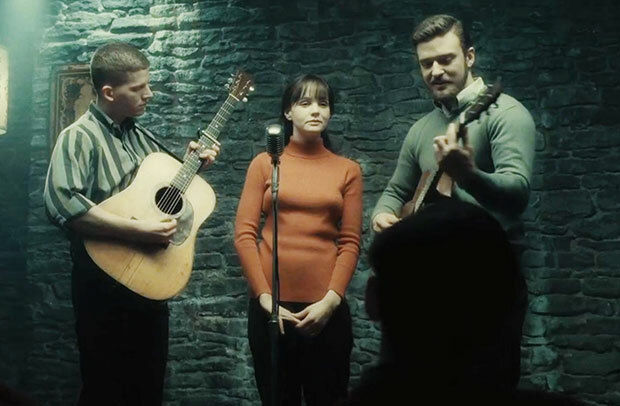 Inside Llewyn Davis is an easy movie to admire but a harder one to love, unless you’re a fan of the Coen brothers or folk music in general. 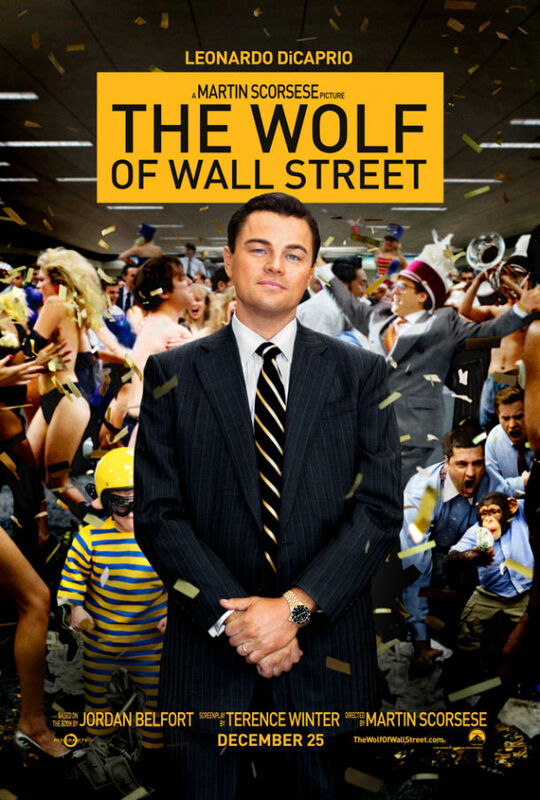 The protagonist is unlikable, his struggles his own doing either by hubris or integrity, the plot is rather loose with scattered supporting characters, and the film ends on a somewhat lackluster note that feels inconclusive. But then I keep going back to the richness of this world, the pop of the characters, the lyrical beauty to the unvarnished songs, and the concept of folk music as its own sense of purgatory (here me out, folk fans), the idea that we seek something new with something old, and so we follow in circles, like Llewyn’s onscreen journey. Isaac gives such a strong performance that you almost wish his character could catch a break. Almost. 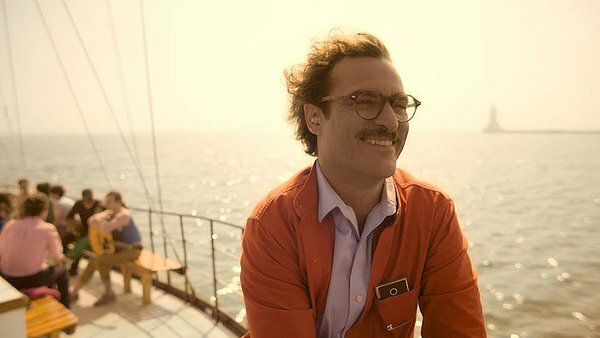 This is another technical marvel from the Coens, filled with their dark humor and their sense of cosmic melancholy, but Inside Llewyn Davis may ultimately find some strange sense of uplift as Llewyn continues to hold to his ambitions even as the world around him is changing, losing sight of artists like him. As long as we have the Coens, the Llewyn Davis’s of this world will get their due in one form or another. I had no plans to watch this movie, let alone in a theater and on opening night. Then one fall weekend, my pal decided to raise the stakes on our fantasy football match-up, and then Ronnie Hillman couldn’t hold on to the ball, and I lost by four points. My punishment: seeing Tyler Perry’s A Madea Christmas in the theater. My friend and critic Ben Bailey has taken it upon himself to watch and review all the Madea films, so he was ready and planning to watch the latest. I accompanied him for one magical night of holiday messages bequeathed by a large man in drag pretending to be an old woman. Madea (Tyler Perry) is called into action to help drive her sister Eileen (Ana Maria Horsford) to Alabama. Eileen wants to surprise her daughter, Lacey (Tika Sumpter), for Christmas. Lacey is working in a small-town as a teacher. Her husband, Conner (Eric Lively), is trying to engineer a new strain of corn to help his hometown confront a water shortage. There’s just one problem. Eileen hasn’t told her mom she got married… and to a white man. Lacey is worried that the news would kill her mother since Eileen has a weak heart. So Conner has to pretend to be a farmhand while Eileen visits. Then, unexpectedly, Conner’s parents (Larry the Cable Guy, Kathy Najimy) arrive to spend Christmas with their family, but they too must get in on the act. The small town is also in trouble of losing lots of money if they cannot put together their annual Christmas Jubilee celebration. Lacey’s ex-boyfriend Oliver (JR Lemon) swoops in to offer a corporate savior, but there are strings to attached, and he’d certainly like to get closer to Lacey. 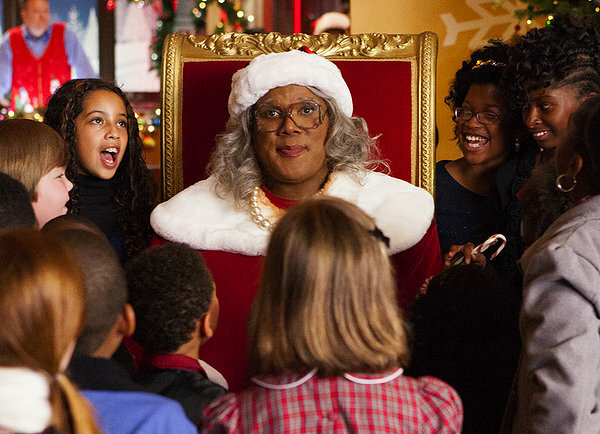 I am about to type a string of words I never thought could possibly be put together in the English language: Tyler Perry’s A Madea Christmas, also starring thespian Larry thy Cable Guy, is not altogether terrible. I feel like a weight has been lifted just admitting this. Oh, let there be no question that this is a bad movie in just about every way, but the simply bad and poorly executed outweighs the terrible. To be fair my expectations could not have been any lower, especially after suffering through my first Tyler Perry movie ever this year, the earlier 2013 film, Temptation. This was my first Madea film. Part of my other entertainment was observing my audience, the mostly full theater on opening night, and charting their reactions to Madea and my own differences in opinion. I can’t in good conscience suggest this is a reason for people to go see this movie, but there it is. 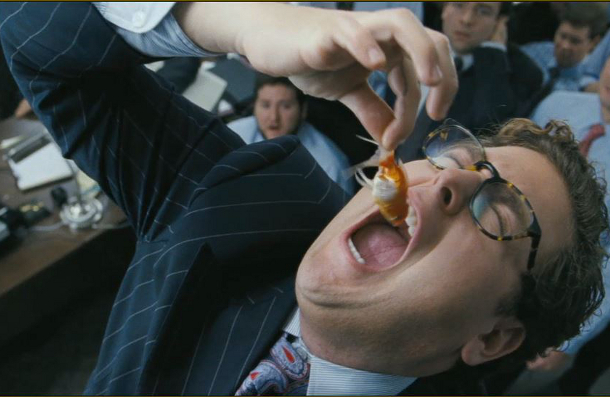 Every actor not named Perry or Cable Guy looks like they could sure use some more direction; they’re hungry for it. Actually, Najimy (The Guilt Trip) and Larry make a good team and you’re actually pleased when they enter the story, providing an alternative to Madea’s shenanigans. I’ll credit Perry with this twist: the redneck family is tolerant from day one and compassionate human beings and the conflict focuses on a black racist against white people. Although in the year 2013, inter-racial marriage seems like a strangely dated conflict to get so worked up over. This is also the least grating Larry the Cable guy has ever been in a movie, including the Pixar Cars franchise. But these are acting professionals. The rest of the cast is filled with Pretty Bland Young People, all of who look like they’d rather be on a TV soap. Sumpter (Sparkle) in particular comes across like discount Zoe Saldana. Hey, there is a former CW star involved in this too, Chad Michael Murray (TV’s un-canceable One Tree Hill, House of Wax) and while his character is dumb, the town’s chief redneck, he’s actually fine when you can make out what he’s saying. But the best actor in the whole movie turns out to be Alicia Witt (Urban Legends, 88 Minutes) as Murray’s put-upon wife. 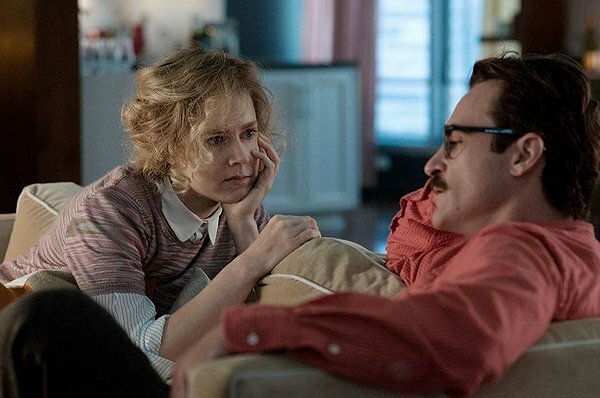 If there’s anything approaching subtlety in this mess, it’s through Witt’s graceful performance of a woman struggling against her husband for what she believes is best for her child. The Madea character, Perry’s most famous alter ego, can have a numbing effect that mellows your judgment of an otherwise unlikable figure. Our introduction to the matriarch is her brief stint working at a retail store. She’s unfailingly rude to customers asking ordinary questions, she’s hostile, threatens violence readily, and then, when rightly fired, creates a scene and literally steals from the store. In mere minutes, I’m left with the impression that this elderly grandmother who looks like a linebacker is just a horrible human being and should be in jail. And this impression sticks for some time, that is, until you begin to adopt a Stockholm syndrome-like appreciation for her mean-spirited bickering and retaliation. As we sit and watch Eileen act like a horrible human being, so condescending and needlessly hurtful to her unknown in-laws, the balance of most terrible shifts, and we start to root for Madea because she’s the only one who cuts through the nonsense, the only one to speak truth to Eileen’s reproachful behavior. In the end, you may come to appreciate her being there to set people straight. I still think the whole Madea character is a large miscalculation on Perry’s part, a character that’s never as funny as he thinks it is (though eight movies in, so what do I know?). The constant string of malapropisms feels like the dying riffs of a deflated improv jag. There are several scenes that involve lines given off screen as if Perry is still experimenting with the scene. In the end credits bloopers, which are also not funny, it looks like Perry’s shooting style is just to turn the camera on and say whatever. This is a character born to be a supporting player if utilized at all. Though her best asset is when here happens to be a worse character onscreen to whom she can focus her ire. So as long as Madea keeps starring in movies alongside more horrible human beings, we should be fine. Who cares if Conner is a college-educated scientist and doesn’t know the difference between male and female cows? Who cares if Conner conducts cutting-edge bio-engineering in an open barn with, what appears to be, doing little more than pouring different liquids into different vials? Who cares that the town lawyer is so incompetent he can’t be trusted to read a contract that is all of three pages? Who cares that catching a glimpse of a husband and wife in bed, with the husband under a sheet, is immediately interpreted as Klan membership, because what other possible explanations could there be? Who cares that there is a Klan meeting that Madea accidentally walks in on, and oh yes, they all happen to be in uniform? Who cares that the town’s chief redneck bullies the mayor into firing a teacher when I’m pretty sure that duty is not under the mayor’s direct powers? Who cares that for no reason there is a Naked Gun-style tracking shot that involves passing YouTube celebrities Sweet Brown (“Ain’t nobody got time for that”) and Antoine Dodson (“Hide your children and hide your wives…”)? Who cares if a character believes saying things in public over a microphone to shame a corporation into charitable giving is tantamount to an unbreakable oral agreement? Who cares about the wanton violation of the separation of church and state throughout the film? Let me dig into that last one for just a bit. Perry takes up the “War on Christmas” mantle and dominates his conclusion with this non-conflict conflict. Turns out the company that is saving the town’s Christmas Jubilee festivity, thus saving jobs and keeping the beleaguered town afloat, has the audacity to request a secular ceremony. First off, this entire service is coordinated and produced by the local town’s government, on government property, and already a violation of the reach of government and religion. Even their classrooms have giant wooden crosses in them. What about anyone in this town who doesn’t happen to be Christian? I suppose anybody with differing religious beliefs is just not welcomed in this part of Alabama. But the most eye-rolling part is when characters screech that some vague omnipresent corporate or bureaucratic entity is taking away Christmas or stopping them from celebrating Christmas. NO ONE IS STOPPING YOU FROM CELEBRATING CHRISTMAS. Some of us just don’t believe that it’s government’s place to advocate or do so on government property, and the courts agree. Anyway, it’s an easy target for Perry and my crowd seemed to be nodding dutifully along to the whole “keep Christ in Christmas” message. It seems like a cheap way to unify the town, and it is. Perry has been knocking out about two movies a year since he came onto the scene in 2005, and I still don’t know if he properly knows how to adapt his skills to the screen. The tone is uneven and the comedy usually falls flat, but there are just moments that make you shake your head in befuddlement. This is the SECOND Perry movie this year where a mother has been lying to her daughter for decades about her father being dead when he really ran out on them. Perry also decides to fill his holiday film with Christmas-related wipes. One second we’ll be watching some serious drama and then a giant animated Christmas tree will fly across the screen transitioning us to another. What? I’ve never seen this many wipes in a film short of a movie that had Star Wars in its title. From an acting standpoint, I still feel like Perry’s direction is more theatrical, trying to play to the people in the cheap seats. 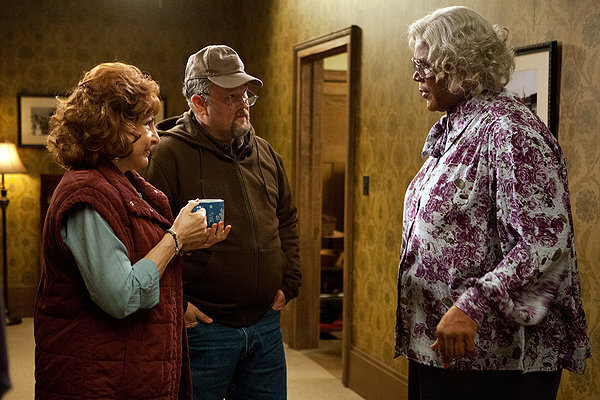 Too many scenes feel rudderless, with assorted actors just feeding more lines to Madea so she can continue on a longer improvisation before somebody remembers to pick up the plot again. The film also ends immediately following the climax, the solution to the town’s ails, without resolution. The camera pans up above the town and cue the end credits. It’s a bit abrupt. Then again after directing over ten movies, many starring the Madea character, there is little incentive for Perry to change his style. His brand has made him one of the most lucrative entertainers in the industry, and he has a thriving studio of his own in Georgia, pumping out content and giving lots of African-American actors valuable experience and exposure with parts that don’t include Black Best Friend to the White Lead. Perry is a one-man industry and has legions of fans that will make any one of his movies a hit. They want what they want, and Perry is going to shovel it out to them. 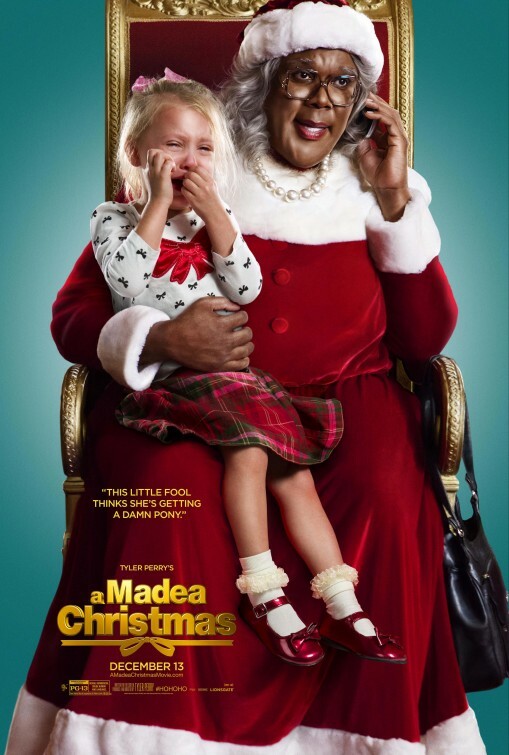 A Madea Christmas looks to be more of the same. It’s generally leaden in its comedy, filled with heavy-handed messages, a loose narrative built around propping up Madea improv riffs, and the character’s mean-spiritedness only really works when she’s attacking a deserving party. 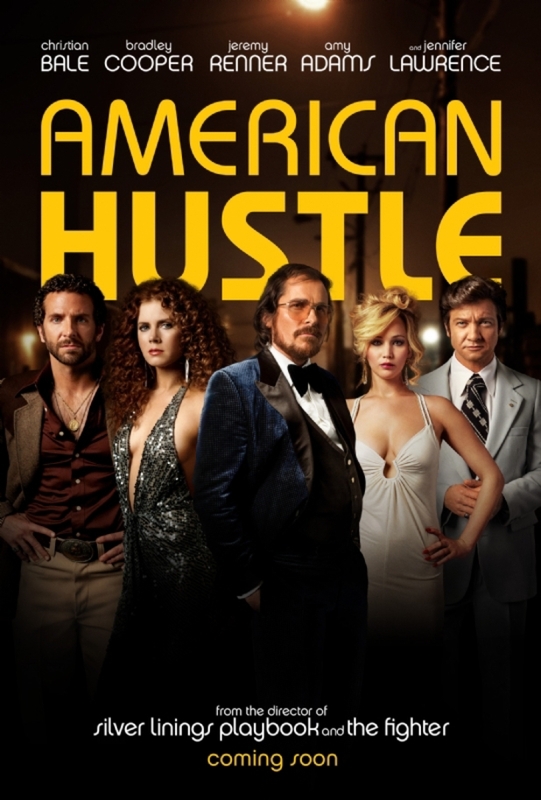 I’ll have to defer to Ben Bailey on where this ranks up there in the franchise (he said it may be the best), but for me, I was expecting terrible and was treated to mostly just bad. That’s a victory. Merry Christmas everyone! Hallelujer. Enough time has passed that a revival of the 1990s Broadway formula that Disney stuck so aggressively to for so long is actually a welcome treat, especially when Frozen is this good of a movie. An extremely loose retelling of Hans Christian Anderson’s The Snow Queen, we follow two sisters and princesses, one of whom, Elsa, is gifted with magic powers controlling ice. She’s lived a life of solitude out of fear and penance for endangering her sister when they were kids. Ana has no idea, having her memory wiped through magic, and so she desperately wonders why big sis gives her the cold shoulder. After another accident, Elsa lets her powers loose, refusing to try and fit into the confines of society no longer. Ana is the only one who can save her and the town. Did you read any mention of a man in that plot breakdown? 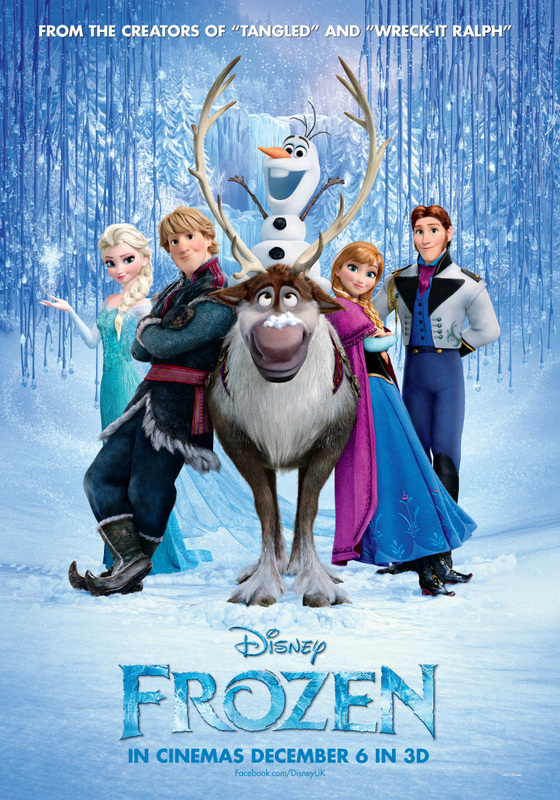 While there are significant male characters, including romantic suitors, Frozen is the story of a different kind of love, a familial love between sisters. It also generously pokes fun at Disney’s admittedly spotty record of heroines giving up their dreams for the first man they meet. Even the comedic side characters work wonderfully. Josh Gad (Jobs) as a magic snowman had me cracking up throughout with his dopey line reading and enthusiastic inflections. Idina Menzel (Rent) as the voice of Elsa is enthralling, and she gets the film’s “Defying Gravity”-esque showstopper, “Let it Go.” Kristen Bell (TV’s Veronica Mars) is terrific as the voice of Ana, vulnerable, heartfelt, and a little bit goofy, and she sings great. All the actors sing great (look what happens when you hire musical theater alums). Even better, the songs are catchy, well composed, and critical to the plot, short of a silly troll tune that should have been cut. The movie also looks gorgeous, which is surprising considering I thought the color palate would be limited with the film mostly taking place in the snow. But what makes the movie truly enjoyable is how emotionally engaging it is, the somber opening twenty minutes setting up just how much tragedy and misunderstanding there is between Ana and Elsa (the melancholy end to their song killed me). Their eventual reconciliation and the selfless acts of bravery might just make you misty. Frozen is a holiday treat for families, animation aficionados, and those hoping Disney could make a film with positive messages for young girls. 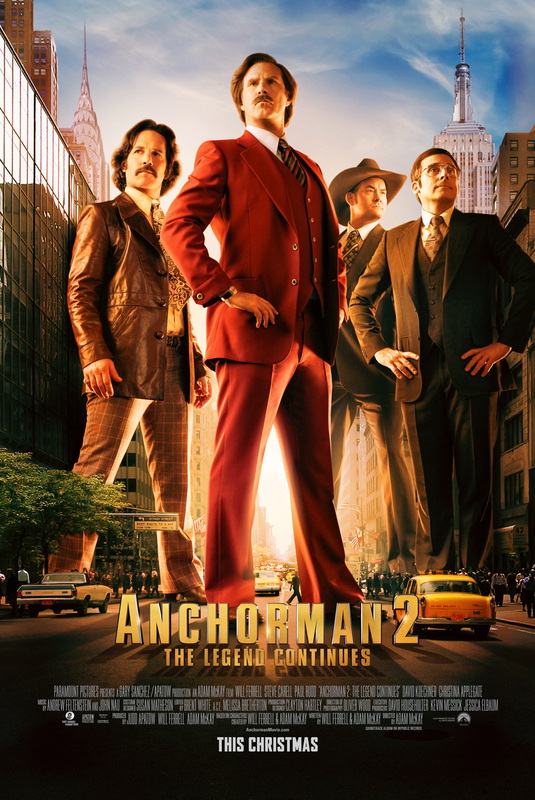 In a weak year for animation, this rockets to the top of 2013. Just make sure you get the Disney version for your family and not, you know, the horror movie of the same name about people stranded on a ski lift. 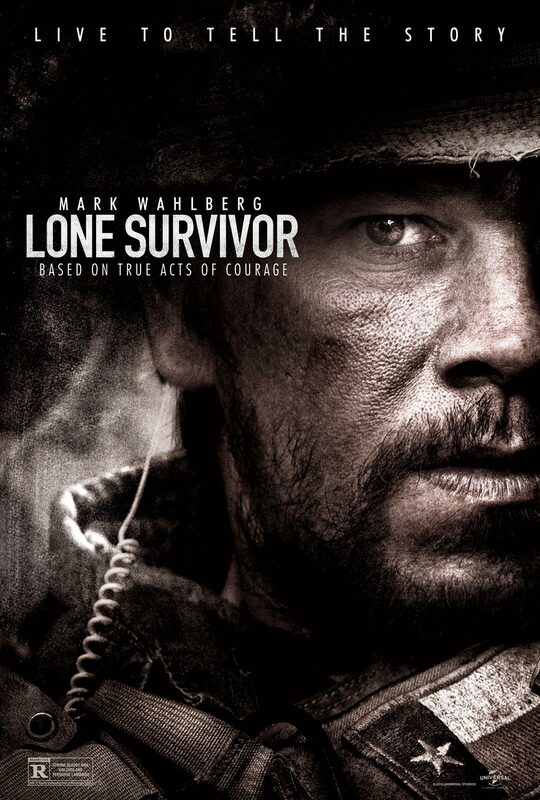 Though that’s a pretty good survival thriller itself, so, your call.